Now here is a sweet little something that is valued in my house. 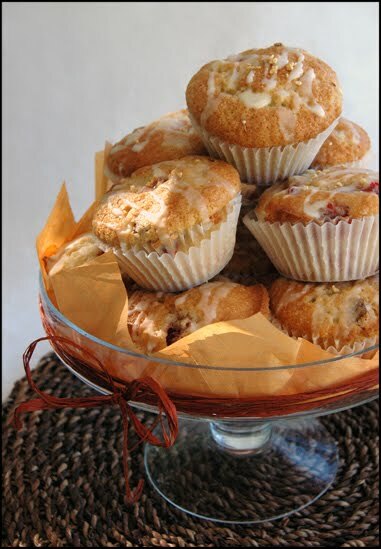 One of rare sweets that my husband loves - muffins. He will eat any kind, his favorite being lemon poppy seed ones. But he loves strawberry/blueberry/anyberry just fine. 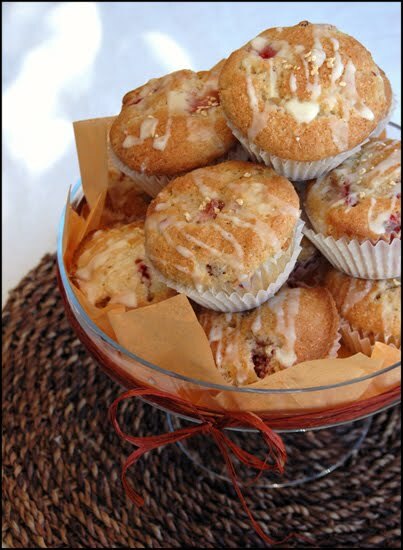 This is a great little recipe for muffins and I got it at Thyme For Food blog. Thank you June, we make it all the time! 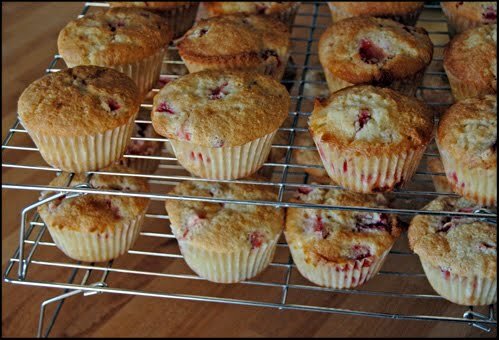 I actually love making jumbo muffins out of this recipe, but for this post I doubled the recipe and made a batch of 24 regular sized muffins. Also, since the muffins on Thyme For Food had paper cups on, I decided to make my muffins in paper cups too, and my son loves them like that. And clean up is easier, so yeah, now I make muffins with paper cups. Preheat the oven to 400°F. 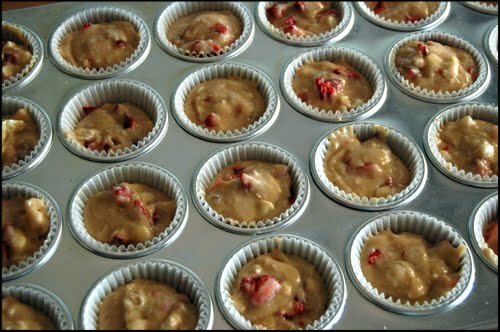 Place 12 paper baking cups in a muffin pan. In a medium bowl, combine the sugar, flour and baking powder with a spoon. In a large bowl, lightly beat the eggs and combine them with the milk, butter and vanilla extract with a whisk until smooth. Add the dry ingredients and stir until well incorporated. Add the diced strawberries and stir until combined. Spoon the batter into the baking cups. Bake for 20 to 25 minutes. Remove the pan from the oven and cool for 5 minutes. Serve the muffins immediately. Store in an airtight container for up to 2 days or freeze for up to 3 months.